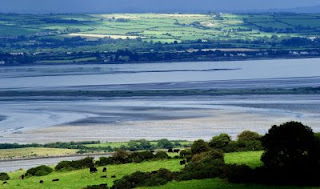 Irish Wildlife Trust...Waterford Branch: What is a Dead Zone? Councillors vent fury at 'dead zone' report. This is the caption used in an article that appears in this weeks Munster Express and refers to Dungarvan harbour. Marine dead zones are areas of seawater that have become depleted of oxygen. Dead Zones are a global problem mainly caused by algal blooms fed by increased nutrients entering the oceans from agricultural fertilizers and sewage. The worrying fact is that the Barrow, Suir and Blackwater estuaries are all included. the Colligan river also makes it into the 20 dead zones in Ireland. For more information check out the website of Friends of the Irish Environment.